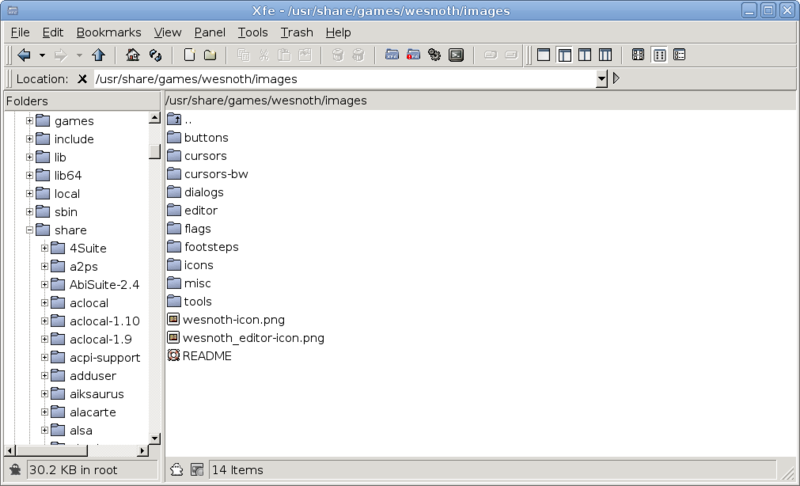 Krusader – Another powerful file manager for KDE, Krusader has an interface similar to Midnight Commander, starting by default with two panels (the so-called ‘twin panel’ mode). 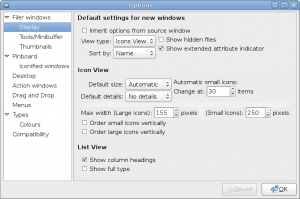 Dolphin – The new file manager in KDE4, Dolphin aims to be easy to use and provides basic features for file management. 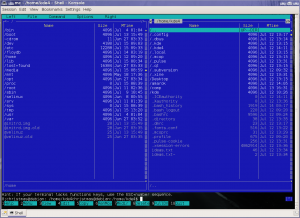 Although the official homepage claims that Dolphin focuses on usability, I found it harder to use than Konqueror or Xfe, for example. 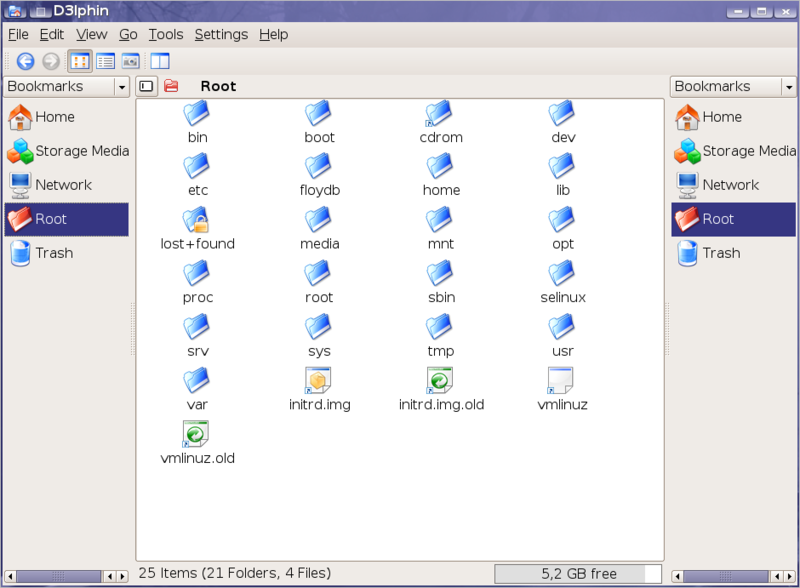 But since I don’t use it much, I guess that’s just because I’m not used to it yet. 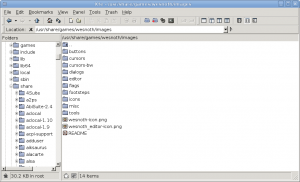 Nautilus – Default file manager in GNOME, praised by some and criticised by others, Nautilus has a simplistic interface, being powerful enough in the same time. 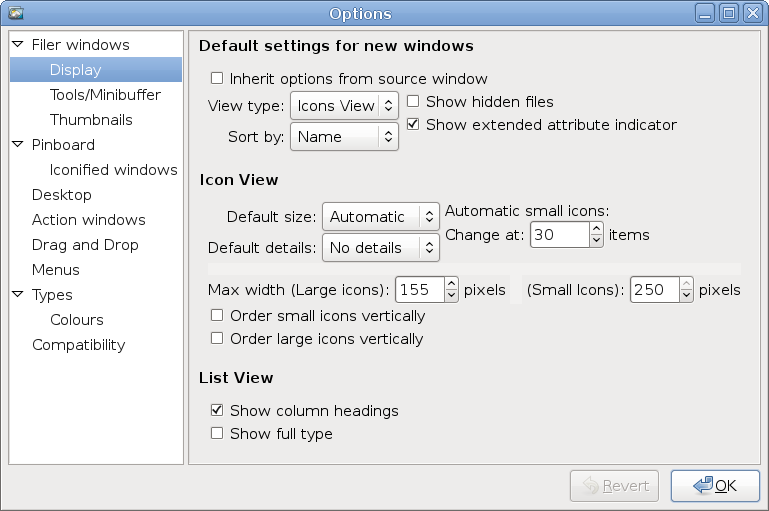 Although currently it doesn’t support tabs, Nautilus includes lots of other useful features and it can be extended through scripts. 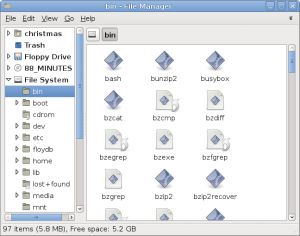 Xfe – A nice little file manager rich enough in features, with an intuitive interface, the X File Explorer is built with the FOX graphical interface toolkit. Full review here. 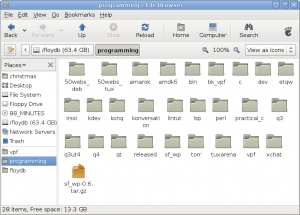 Thunar – Default file manager in Xfce, in my opinion Thunar is just like Nautilus in every way. 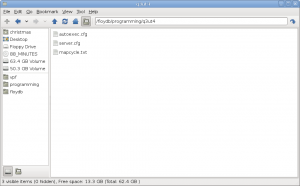 ROX-Filer – Although ROX-Filer has a minimal interface, it provides many features and configuration options. 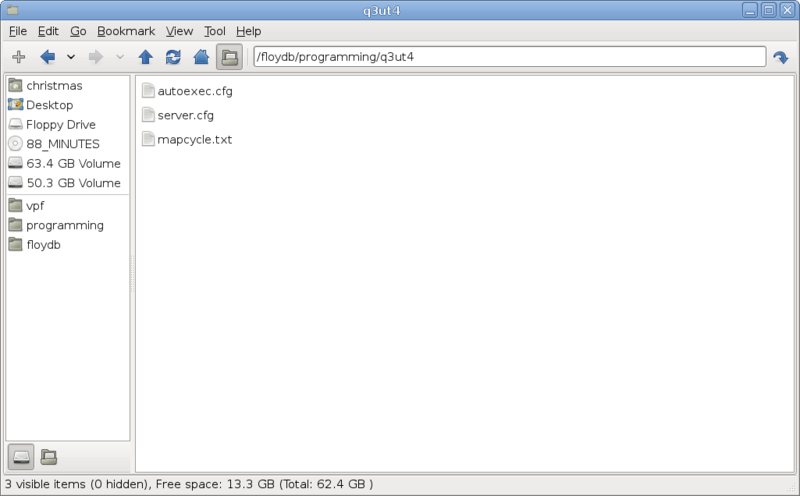 PCManFM – Built in Gtk, PCManFM is clean and features tabs, which makes some users prefer it over Nautilus. Full review here. 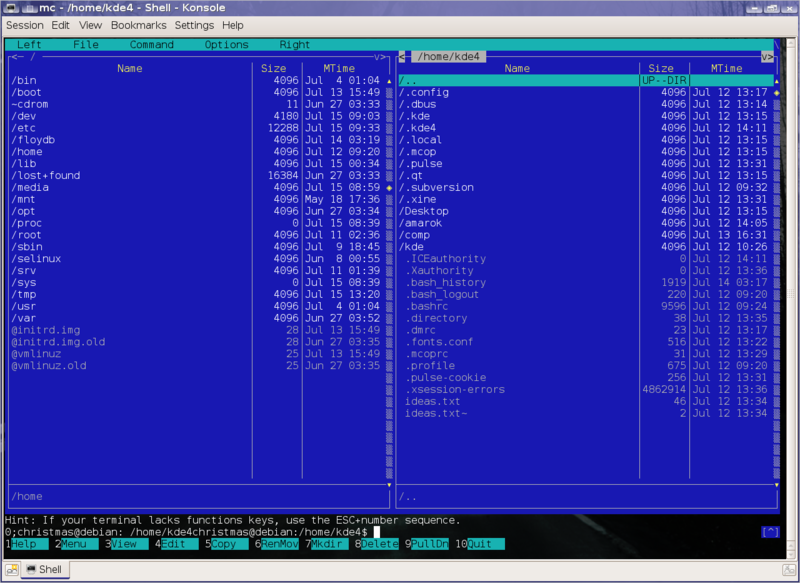 Midnight Commander – File manager using TUI (Text User Interface) which means it doesn’t need X to run. 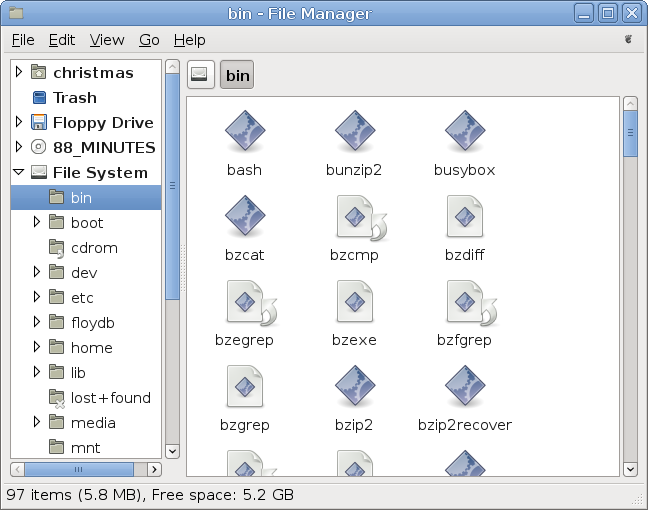 I honestly never saw the point in using a file manager when in command line, but some prefer it over plain commands.